China Dipropylamine Suppliers, China Dipropylamine Manufacturers. Packing: Packed in 53 gallons closed steel drum . Net weight 150Kg/drum. 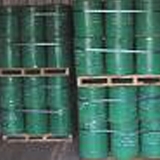 Uses: Organic intermediate; flotation agent, emulsifier, etc.